EVE Designed To Manage And Market All Sectors Of A Busy Dive Business. EVE is a revolutionary marketing and management system designed to perform all functions required to run a busy dive store or resort with minimum effort in diving's tough competitive market. Many dive centre organizers claim to offer funtionality similar to EVE, but none surpass the range of powerful features and array of applications, available to users of this award winning management and marketing system. 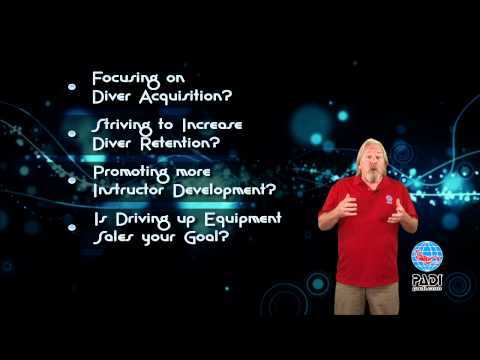 The benefits that EVE brings to your business, is why EVE is the only system endorsed and reccomended by PADI Worldwide.. Install - download your data from PADI - Import your entire certification history of your dive centre. EVE allows you to maximize profit and save valuable time by providing a customer relationship and marketing tool integrated with a powerful point of sale and inventory management system. And it doesn't stop there! EVE will also run your training, rentals and servicing departments and organize your charters, trips and employee tasks. Once the records are in place, EVE can start her magic. Powerful search wizards allow you to easily target precise groups of customers with stunning, personalized emails specifically designed to deliver the right message at the right time, fulfilling their desires and meeting their needs. Inbuilt reports let you analyze your business operations so you can immediately see strengths and weaknesses, allowing you to build on your strengths and preventing minor issues from becomes big problems. This program really does bring profit to your fingertips. Integrated Scuba Systems designed this program specifically for the diving industry to fulfil all their operational requirements. The information stored in the comprehensive EVE database can be exported to other programs including QuickBooks and Microsoft applications. EVE is modular and you can choose to display and use modules that are relevant to your business – making staff training easy. Rentals - Who needs what, when? Inventory - What do you Sell? Try EVE risk free* for 2 months. If you want to continue usage after that time, simply register or login into your account on this website, and purchase your EVE License on the Online Shop page. You will be provided a Renewal Code that you copy into EVE and keep going – no software changes are required and any data you have already entered will be retained. * Free Trial available only for desktop version. Free Trial is not available with cloud packages.